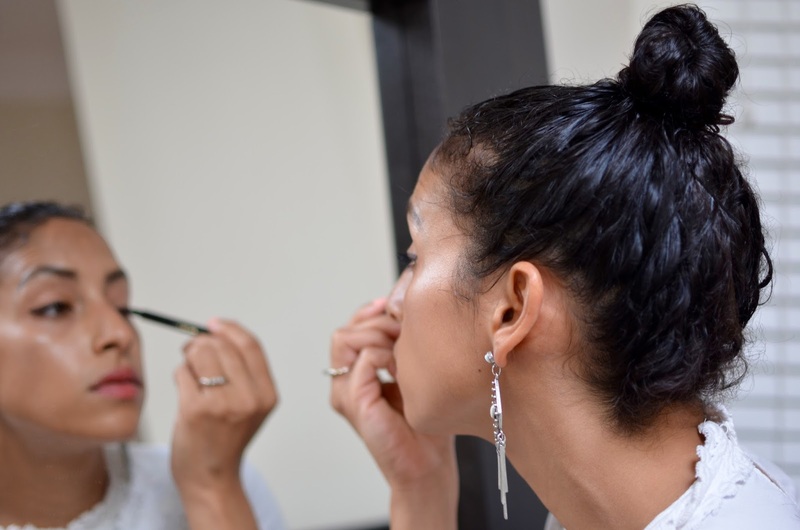 Makeup is one of the things that as a young woman either mystifies you and you embrace it instantly or, you stay away from for a very long time and then find out too late that you have been missing out. For me, it was a little bit of both, but mostly the later. In high school, I played up the 90's vibes and loved a bold lip liner look and not much else. In college, I found blush and mascara and eyeliner and fell in love with playing with makeup and experimenting with it. 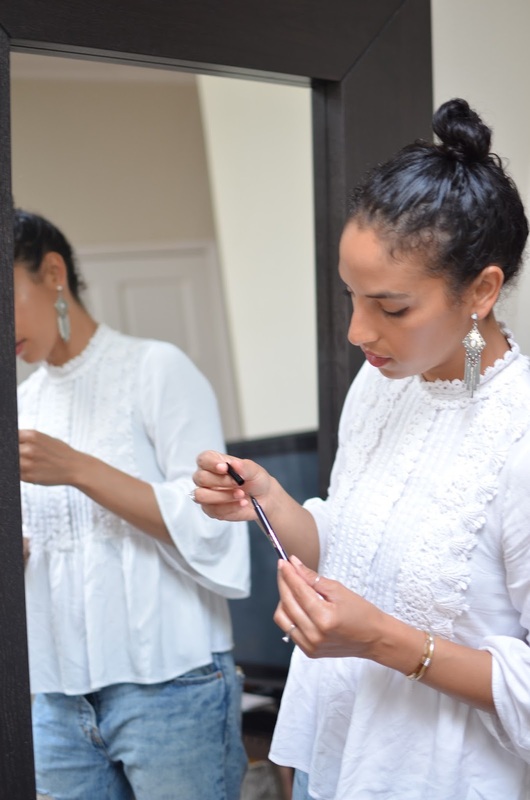 For the most part, I'm into a very natural makeup style so when Clarins sent over their newest product— the 3-Dot Liner —I knew I was in for a treat. This three-prong tipped eyeliner promised an easy to use controlled application, and a bonus — it was enriched with an active ingredient that boosts lash growth. I was sold! The easy-to-apply marker tip was simpler to use and felt more precise from previous attempts at the perfect cat eye. 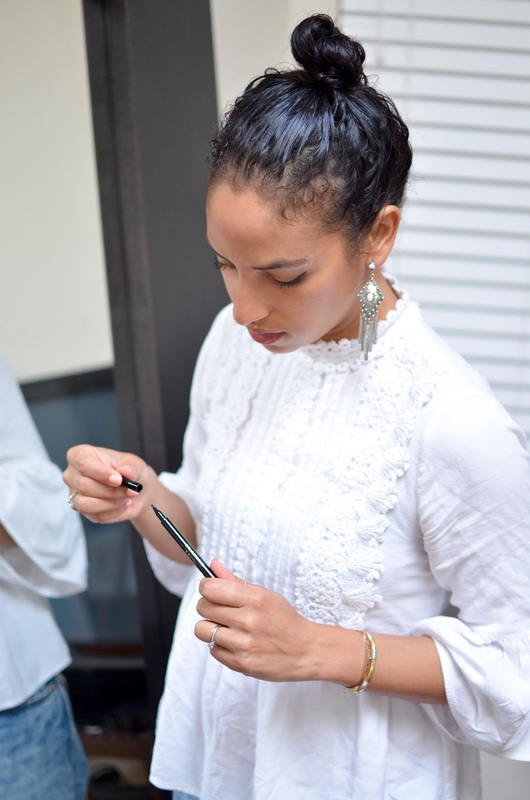 It was also easy to build off of, if I wanted a more natural look it was simple to blend in with my lash line, or I could pull off a winged look with a bit more precision and product. I loved how this 3-Dot Liner kicks it up a notch and makes it super easy to create the perfect cat-eye look. I'm excited to continue using it to see the effects of the promised lash growth; I'll keep you posted!